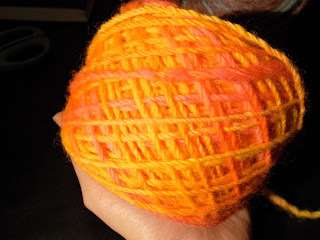 AZURE KNITS BLOG: Handspun and Handdyed! So for the past few weeks now I have been doing an experiment. 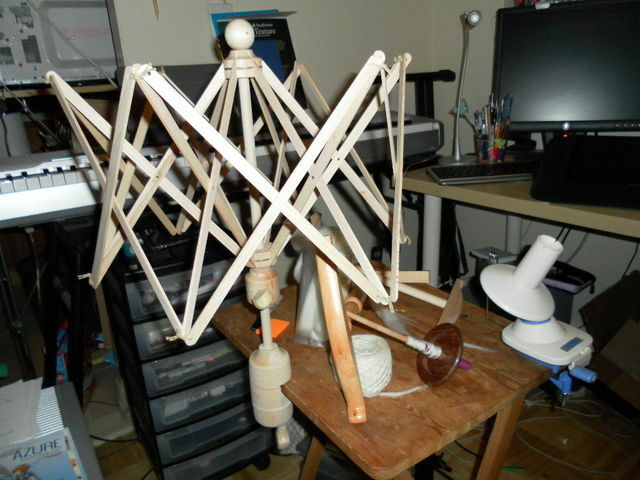 My mother-in-law and father-in-law had given me a drop spindle and NiddyNoddy as a part of Christmas present, and one of my parents' present was a brand new wooden swift. I had been wanting to try to spin for a while now, and these presents gave me a perfect opportunity for this! The first yarn ended up being a pretty nice slub, so I'm making a cowl out of it. I'm still thinking of what to make with the new one--it is still ever so slightly slub but waaaaaay more even. 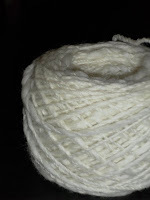 So far I've only tried wool, but I have a bit of alpaca roving--looking forward to try different fibers! Anyways, stay tuned for both handspun&handdyed yarn and the "H^3" Hand-spun Hand-dyed Hand-knitted series!